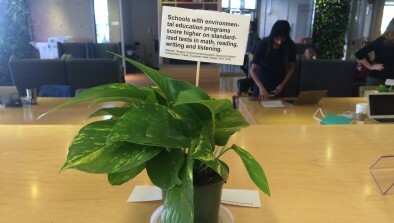 Greening the campus, one office at a time. The Harvard Green Office Program is designed to guide you through the process of creating a more sustainable workspace. The Green Office Program is structured as a points-based system, aligned with our University-wide Sustainability Plan. With your help, we can reach these goals and commitments. Q: What do I need to know about the new Green Office program? 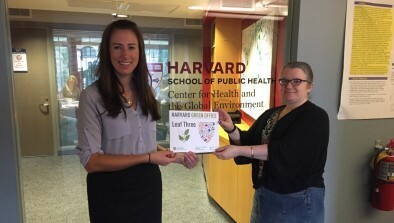 Action items are now aligned with the Harvard Sustainability Plan. A small subset of action items are pre-determined/required, and the remaining points are a la carte. Leaf levels are attained dynamically, based on the total number of points achieved. We have eliminated the need for an office inventory form and a signature page. The application is an excel document that can be completed online and emailed to OFS. Offices can continue pursuing points beyond Leaf Four. 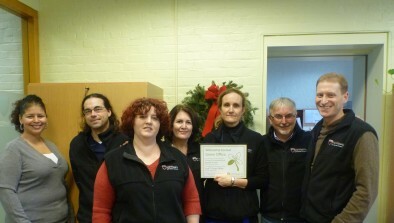 Offices must re-certify every two years to maintain their Leaf standing. Q: Why was the Green Office Program updated? A: The Green Office Program is updated periodically to reflect the latest in sustainability programming and any new University-wide goals. 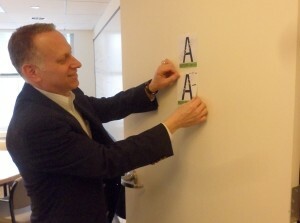 Q: What spaces are eligible for Green Office certification? A: An office must include at least one person. The definition of a Green Office can vary—offices may be recognized by center/group, by floor, or by other constructs. If you have any questions, please reach out to an Office for Sustainability representative. 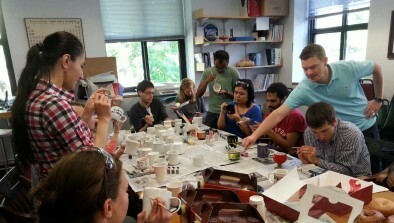 If you are a non-office, lab space, please see the Green Labs Program. 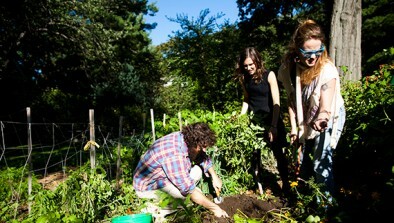 If you are on Harvard's Longwood Campus, you can consider applying for Green Lab Certification. 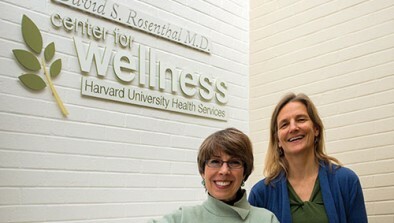 Q: What is the first step to becoming a Green Office at Harvard? A: To get started on your sustainable work space, please complete the online registration form. Upon submission of the registration form, you will receive a welcome email with instructions on how to start the Green Office process. Q: What is the role of the Green Office Lead? 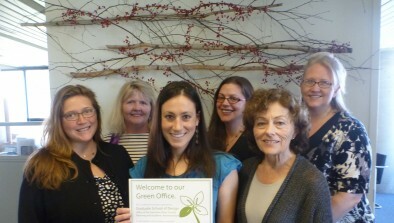 A: The Green Office Lead is the staff member responsible for spearheading the sustainability efforts in an office area. Responsibilities of the Green Office Lead include introducing the Green Office Program to staff, acting as the main point of contact with the Office for Sustainability, and completing the Green Office Lead action items identified in the application. The Green Office Lead can also choose to delegate certain responsibilities to other staff members as appropriate. Q: What is the role of Office Occupant? A: Office Occupants are staff members who complete action items in support of the office application. Some Office Occupants, such as the Office Manager, may assist the Green Office Lead in completing the program. 75% of Office Occupants are required to participate in the Green Office Program in order for an office to be certified. 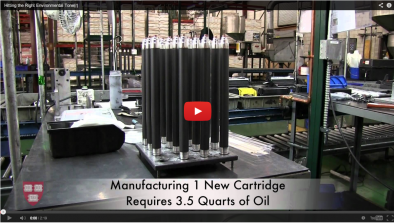 Q: What is an Office Inventory? A: An Office Inventory is a list of some of the energy using appliances in your office. The goal is to understand the energy usage of an office to better quantify the monetary and energy savings discovered through implementation of the Green Office Program. Q: What should I do if a required item is not applicable to my office? A: All required action items may not be applicable to an office, particularly depending on the number of people in the office. In those instances, please mark the item “N/A” and make a note of why you are unable to achieve this point. If you have questions, please contact sustainability@harvard.edu. Q: How do I advance to the next leaf? A: To advance to the next leaf level, refer to the Green Office Application previously submitted to the Office for Sustainability. Any action items that were previously incomplete may be completed to increase your office’s point total in pursuit of the next leaf level. Q: Is a walk through mandatory? A: A Green Office walk-through may be requested by the Office for Sustainability after submission of your first application and/or your Leaf 4 application, but is not required for certification. Q: At what point does my office qualify as a Green Office? A: An OFS staff member will review your application and facilitate a walk-through of your office (if applicable). Once complete you will receive a certificate and decal stating the level of achievement and your office will be listed here. Q: Should students and part-time workers be declared in the total count for people in the office? A: Both full and part-time staff, faculty, and student workers should be counted. 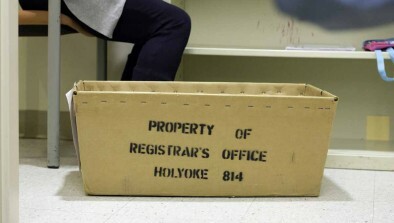 However, student and part-time workers who do not have a designated work space can be excluded from the count. 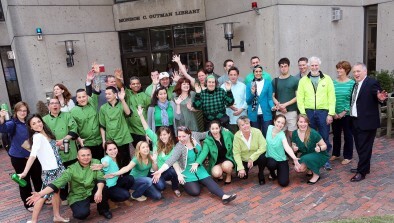 We still encourage you to share your Green Office efforts with these individuals. Q: What if an office member does not want to participate in the program? A: Only 75% of the office needs to participate in order to achieve certification. If a member of your office does not want to sign the checklist, try to understand why. Can the information be presented differently? Can we provide additional explanatory materials? Please contact sustainability@harvard.edu for support, if needed. Q: What is the role of the Sustainability Liaison? A: The Liaison is your point of contact with the Office for Sustainability. They will introduce you to the Green Office program and will be available for questions throughout the process. This Liaison will conduct an office walk-through after submission of your first application or when applying for Leaf Four. Taken together, the habits, the attitudes, and the creativity of every one of us have the potential to make a great difference, not just for Harvard… but for the larger world and its future well-being. We asked members of our Green Team Leaders Network for their tips, advice, and tricks on running successful Green Teams. Here's the top 10. 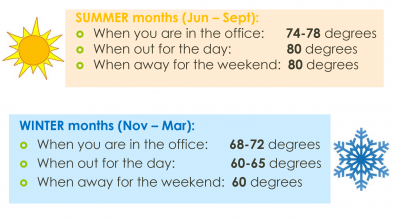 Even small adjustments of just 1 or 2 degrees in temperature settings can result in large energy savings! 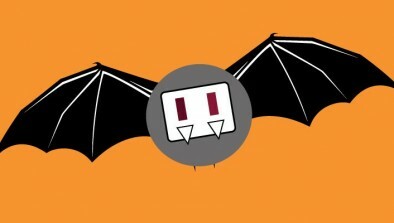 Devices like televisions, microwaves, scanners, and printers use standby power, even when off. Help to incorporate and increase access to nature for young people. The only thing better than a reusable mug is a reusable mug you decorated yourself. 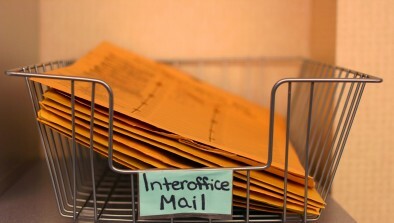 Eco-Opportunity team members successfully launch a new reuse system for interoffice envelopes at HSPH. 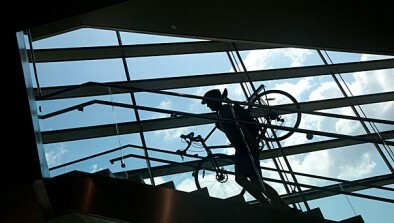 Harvard offers reimbursements to those who bike to work.